The move follows a $70 million lawsuit filed against the college that details years of alleged harassment and assault by three psychology professors, claiming administrators failed repeatedly to protect students from abuse. “We stand, outraged, in solidarity with the courageous individuals who filed this lawsuit, and with the countless students, staff, and faculty who have endured sexual violence and gender harassment throughout Dartmouth’s history,” the letter states. Reaction to the lawsuit, filed November 15, has been growing both on and off campus. Earlier this week, more than 80 faculty members signed a letter to students in the campus newspaper. “We pledge to make structural and cultural changes to our community to improve protections against all forms of violence and discrimination, including protections for those who come forward,” they wrote. Among the signatures are two professors named specifically in the lawsuit as allegedly failing to take meaningful action against known discrimination in the Psychological and Brain Sciences Department. The complaint additionally states David Bucci, chairman of the department, and Thalia Wheatley, director of graduate studies, later attempted to discourage the plaintiffs from filing the suit. Bucci declined to comment for this story. A request sent to Wheatley for more information was not returned. 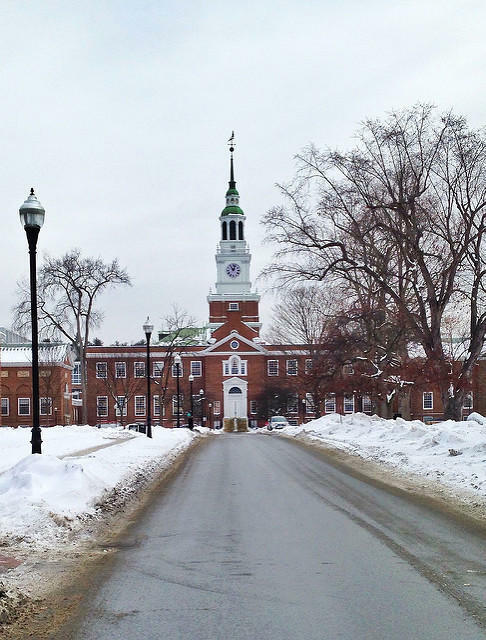 As news of the lawsuit spread, alumni quickly began gathering online and sharing stories of abuse on campus, said Diana Whitney, who graduated from Dartmouth in 1995 and says she was assaulted her freshman year. “The response was outrage and also, sadly, not really surprise,” she said. Whitney is helping organize alumni in a group calling itself Dartmouth Community Against Gender Harassment and Sexual Violence. The group is hoping to compile stories of harassment and assault from alumni of all ages, she said, and organize more action in January when students return to campus. Another group of faculty, organized as a local chapter of the American Association of University Professors, has been gathering input and working to coordinate a response, said Giavanna Munafo, a lecturer in the Women's and Gender Studies Department. The group issued a set of recommendations in August, including changing policies to better protect victims who come forward and investigating how a hostile climate was allowed to persist in the psychology department for so long. Some are calling for more aggressive action in the short-term, including withholding donations. Dartmouth is in the midst of a $3 billion capital campaign, “The Call to Lead.” Among other goals, the school is hoping 100 female alumnae contribute $1 million or more. “Dartmouth’s board of trustees and senior leadership team are dedicated to maintaining a safe and inclusive campus for all members of our community and we remain committed to improving our culture as we work to make our community the best it can be,” a Dartmouth spokesperson said in a statement when the lawsuit was filed. The school says it disagrees with the claims laid out in the suit and will respond in court.